I have an obsession with recipe books. Not just any recipe books though – throw vegetarian, vegan, sugar free, gluten free, dairy free into the mix and I’m there with bells on. I think my obsession started in early childhood when my Mum would take me round health food shops and I’d be amazed that they sold the sweet treats I loved that were actually GOOD FOR ME. I’d spend hours browsing through her vegan cookbooks memorising the recipes, but without the funds to buy all the obscure ingredients. Fast forward 18 years and I’m now the proud (and slightly embarrassed) owner of a vast amount of these cookbooks and an entire pantry filled with coconut sugars, almond flours and cacao nibs. No regrets. If however you’re just started your journey into either clean or free-from eating and don’t know where to start first, don’t worry! 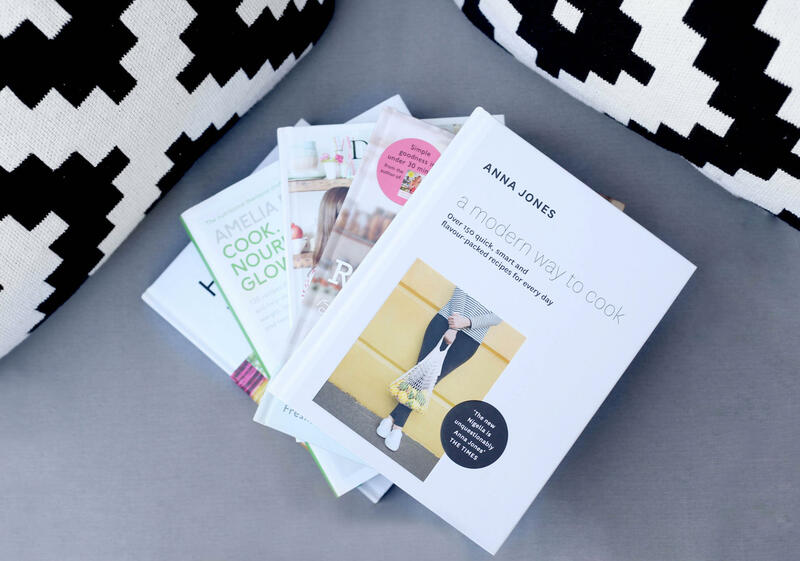 There’s so much information out there that it can be really daunting, so I thought I’d talk about a really small (but perfect) selection of my favourite health cook books to get you started! All of the authors I’ve chosen to feature have more than one book released, and I’ve found it so hard to choose a favourite in most cases. Anna Jones is one of them. I first came across Anna Jones at a friends house – she’d just whipped up a batch of her Salted Caramel ‘Crack’ Brownies, and they were the tastiest things I’d ever eaten. Both books are entirely vegetarian and contain some of the most delicious, simplest most impressive meals I’ve ever made. Which is precisely why I’m listing her first. Granted, her recipes aren’t always vegan or entirely free of refined sugar, but she lists alternatives in case you do have allergies or are trying to eat clean. 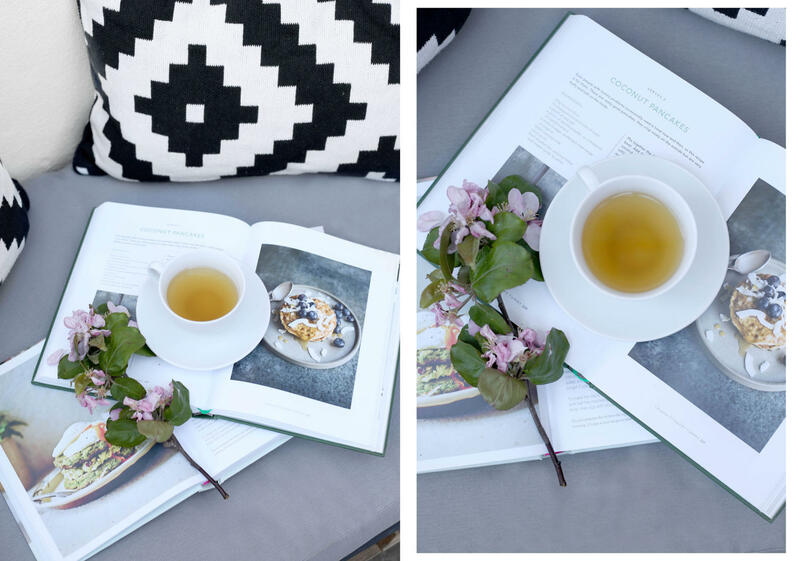 Her conscious, fresh and considered way of living really resonates with me, and although spending my morning’s at the market buying fresh veg is a pipe dream with my lifestyle at the moment, her recipes are still quick enough for me to rustle up after work. Madeleine Shaw is owning the health world right now! I first found out about her before we held the launch of her first book at work, and after sampling some of her dishes and witnessing her glow first hand I was hooked. Her recipes often contain meat (although she does feature a lot of vegetarian recipes too), but all her refined sugar free including her raw cherry and chocolate fudge which is INSANE. 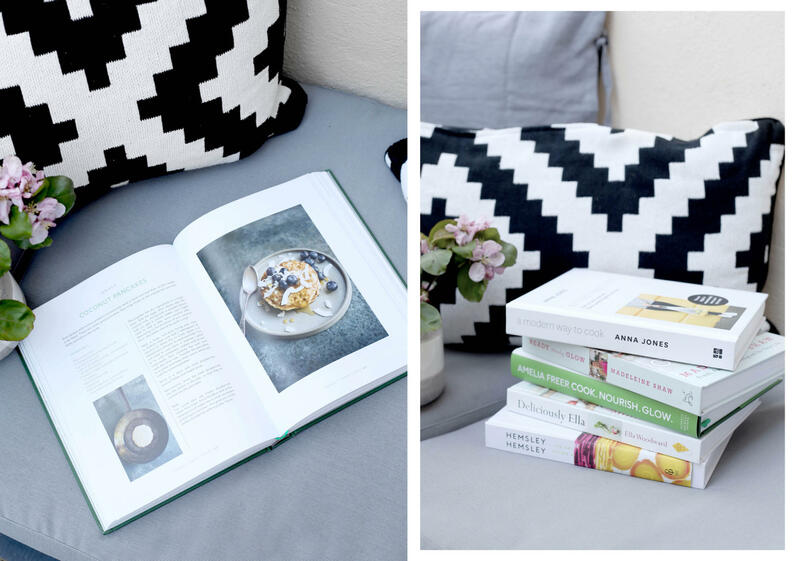 Both books give you a plan to follow to make the most of her dishes, with the latest edition (Ready, Steady, Glow) featuring a flow yoga how-to at the back. Great Feature: Recipes are broken down into ‘Fast’ and ‘Slow’ categories for post-work or slow weekend prep. Although her second book (Cook. Nourish. Glow) is my favourite, her first is a must have in terms of educating yourself on all things nutrition. Her recipes contain some meat and dairy, but are all refined sugar free. This was one of the first books I treated myself when I started my wellness journey, so I’m a little attached to it. 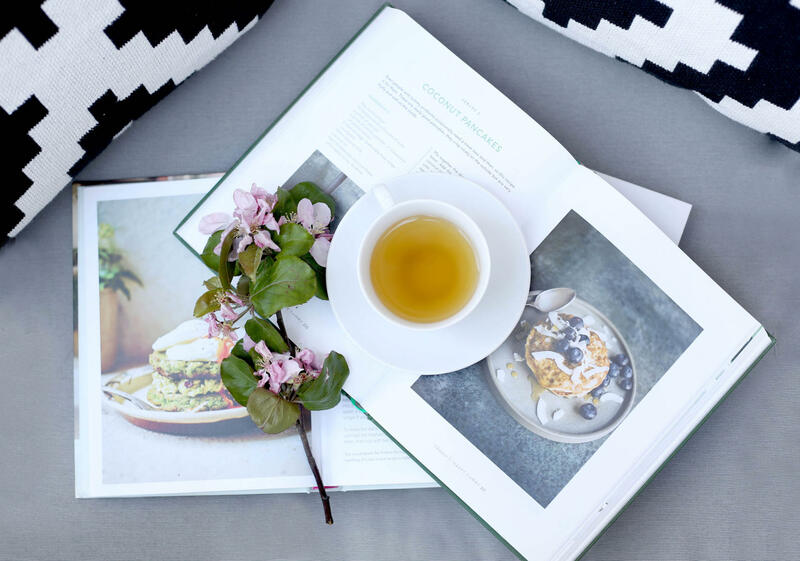 All recipes are vegan and refined sugar free which I love, and although I find the books above to contain more exciting ingredients and flavours, Deliciously Ella is always my go-to when I need to rustle up something hearty and healthy. Great Feature: Her store cupboard essentials. She gives really good money saving tips for getting started on your journey (we all know how pricey health food shopping can be).